Want to double or triple your donations? 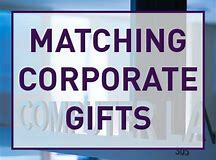 Many employers match donations ($ and volunteer hours)! The International School PTSA is a 501(c)(3) charitable organization. We accept donations from individuals and corporations, and these donations are deductible. We are registered with Benevity which manages corporate matching for many companies including Microsoft. The companies listed below have matching gift programs through which they make donations equal to the contributions of their employees. Sometimes they match contributions of spouses and retirees as well. If your company is listed here, please consider filling out a matching funds form at work today. Forms are available through corporate Human Resources or Personnel offices, and often available online. Google's Matching Gift Submission Process: Employees should sign in and register their matching gift requests electronically at https://login.corp.google.com/vendors/giftmatch. Employees / donors can submit their matching gift requests electronically at https://microsoft.benevity.org/. Deadline: Donors can submit match requests for donations made at any point in the last 12 months. Employees can log their matching gift requests electronically at http://www.igivewf.com. If you have questions or need assistance, please call Wells Fargo employee donation assistance line at (888) 518-4438 for additional details. Deadline: While Wells Fargo requests donations be submitted shortly after the date of the donation, the company matches donations made at any point in the last six months.